Product #21371 | SKU PTM-3PTF | 0.0 (no ratings yet) Thanks for your rating! 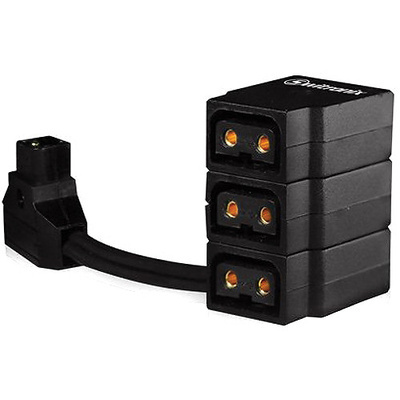 This PowerTap Breakout Cable from Switronix allows you to triple the number of P-Tap outputs for each output on a battery or other device. It allows you to connect up to three accessories at the same time and can handle up to 10 Amps. The three accessories must not draw more Amps than the P-Tap source can supply.